Our nervous system is like the motherboard of any computer. It has the control of all the organ systems and their respective functions. Even a small fault in the nervous system comprising of the brain, spinal cord and nerves can be debilitating. Neurons are the special cells which function to transfer messages from the brain to different parts of the brain and vice versa. They have a protective covering called myelin sheath over them which helps in the quick and smooth passing of the messages in the form of electric signals. When this myelin sheath that covers the nerve fibres of the brain, spinal cord and optic nerves ( nerves that connect the eyes to the brain) are affected or damaged, the electric signals in the form of nerve impulses become slow and can even stop, giving rise to many neurological disorders called demyelinating diseases. Multiple sclerosis- An autoimmune condition that attacks the brain, optic nerves and spinal cord. 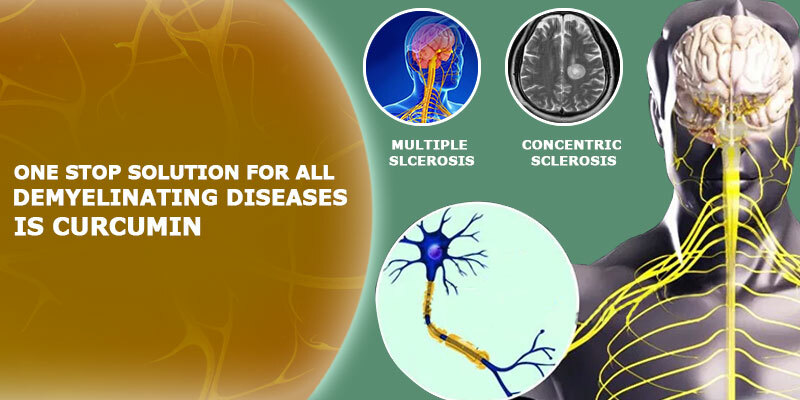 Concentric sclerosis- Also known as Balo’s disease is a rare form of Multiple sclerosis. Transverse myelitis- This condition is caused when the myelin sheath over the spinal cord is damaged. Having this disorder can also increase the chances of getting multiple sclerosis in the future. Neuromyelitis Optica ( Devic’s diseases)- Affecting the eyes, legs and arms, this disorder makes the body attack its own spinal cord and optic nerve. It gives rise to blurred vision and can lose the lead to loss of eyesight. Guillain- Barre Syndrome (GBS)- In this disease, the peripheral nerves are attacked leading to weakness and loss of muscle mass in the legs, feet and arms. It can become life-threatening if the breathing is affected. Schilder’s disease- This condition mainly affects boys between the age group of 7 to 12 and damages the myelin sheath of the spinal cord and brain affecting blood pressure, heart rate and breathing. HTLV- I associated myelopathy (HAM)- Caused due to a virus called HTLV-I due to which the brain and spinal cord swell up. It is caused by contact with infected blood or other body fluids. The main root cause of most of these diseases is excessive inflammation which can be greatly controlled by curcumin due to its anti-inflammatory and antioxidant properties. One of the best solutions for demyelinating diseases lies in curcumin because of its amazing anti-inflammatory and antioxidant properties. 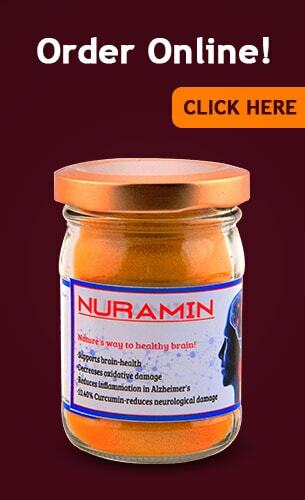 Nuramin from Bagdara Farms is the one-stop remedy for all demyelinating diseases. It contains pure curcumin and has no side effects and is GMO-free. The Advantages of Cooking with Turmeric, You Weren’t Aware of?